A new video has surfaced on youtube which definately looks to be a recording of the in-famous"Xbox Live Arcade - Goldeneye 007" game running on a Xbox 360 Dev Kit. Check it out for yourself. This video looks to be real since I and many friends have checked out the video and the faces are different from the original N64 version. We also made note that there is one guy in the game which has glasses on now, and many other areas of the game area slightly different. Check out the differences between this video and the an original N64 video of the same stage. We will post more pics as we find them. We already know that the game has officially been cancelled but after seeing this video which is probably the full game for XBLA we are very confident that they wouldnt have wasted so many resources if they were never going to release it. The game is running at a constant 60fps (as shown in the video) and the gun detail is so much different. We have yet to confirm if its a fanboy emulating it on his pc or not but from the comments left on the site most seem to believe it's not real. It definately real.. It's just a matter of time now! Discuss this story in our forums. 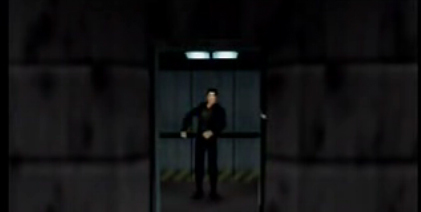 Click the link below..
We have even gone a little more in depth and taken a screenshot from a original N64 video of the same stage showing james bond.. The new xbox 360 video or newer footage shows cargo pants pockets and alot more detail in the environment and in bond himself. 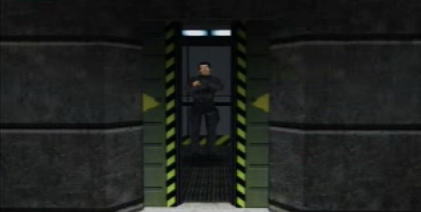 360-Hq Forum Topic: N64 Goldeneye Xbox Live Arcade Video? 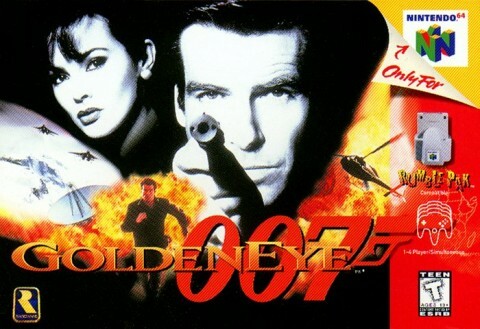 Goldeneye 007: Reloaded announced for Xbox 360 and PS3,.. Rumor: GoldenEye XBLA canning Was Nintendo's Fault?